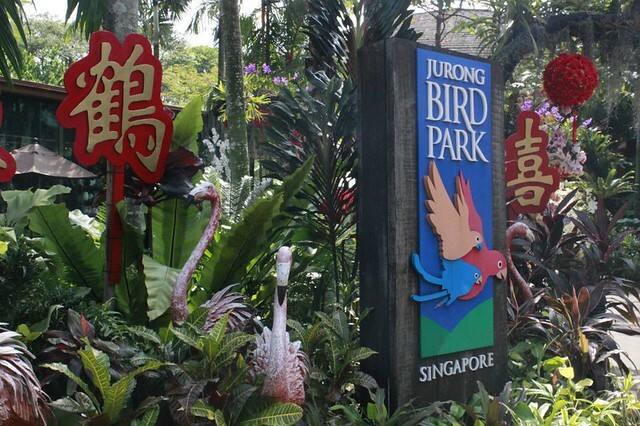 Charming visitors the world over since taking flight in 1971, Jurong Bird Park (JPB) is one of the most renowned bird sanctuaries with some of the largest free-flying aviaries in the world. 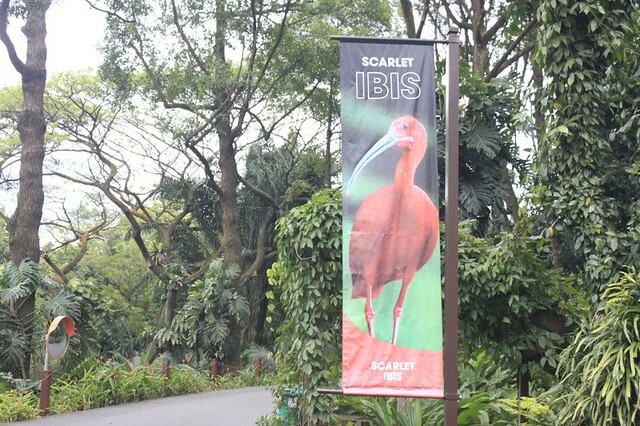 Habitats that mirror their naturalistic environments, Jurong Bird Park is home to the colours of the world, as Asia’s largest bird park with a collection of more than 5,000 birds across 380 species. 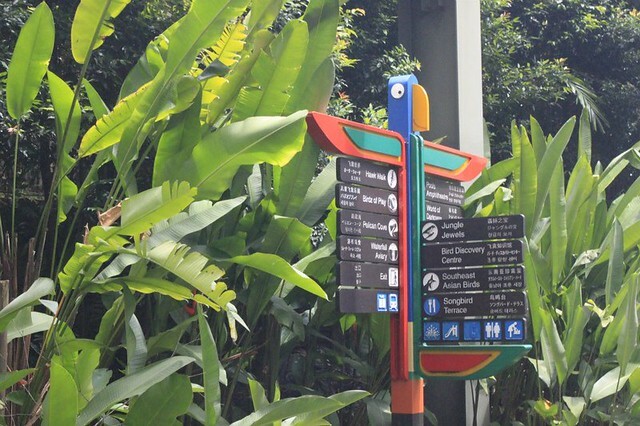 Our park and its line-up of award-winning exhibits, located at the west-end of Singapore, offers 20.5 hectares of exploratory landscape and gives visitors the opportunity to meet and interact with our feathered residents. 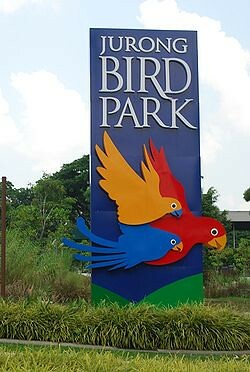 I arrived at Jurong Bird Park on a sunny Tuesday afternoon. 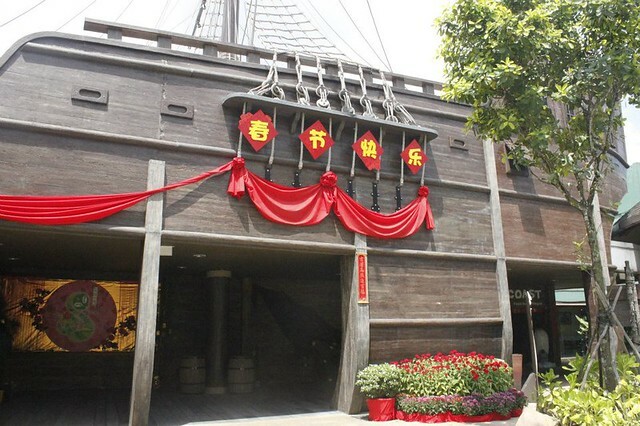 Was greeted by the friendly staff I have been liaising with regarding my school event's sponsorship and to my surprise, they handed me an itinerary specially scheduled for an afternoon tour at JPB. 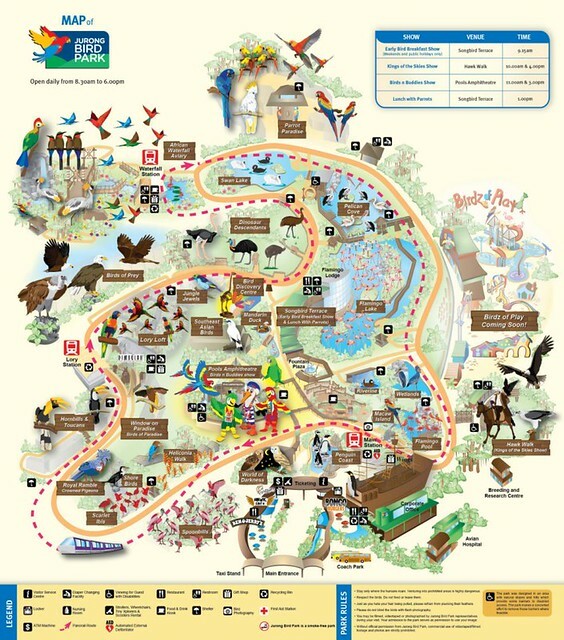 View the suggested itineraries online to ensure that you don't miss the most popular exhibits, shows and experiences while you are here. 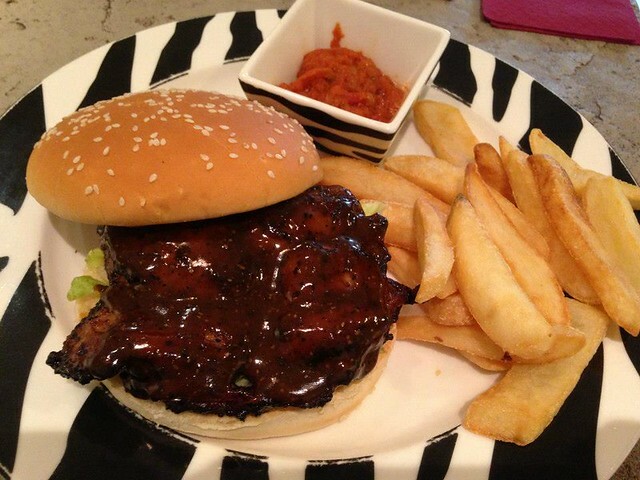 Feel free to mix and match our suggestions according to your preferences and available time. 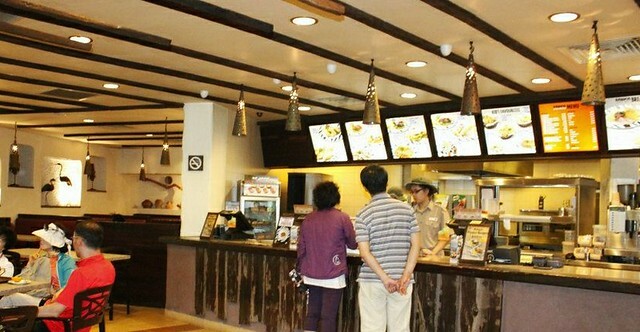 As we were quite famished, we decided to settle down for a quick lunch before entering the park proper. 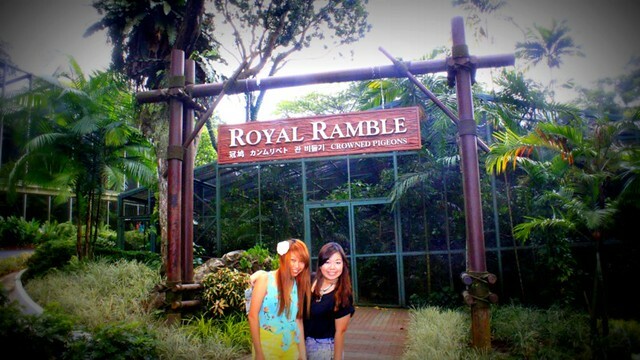 Turn left, saw this interesting safari themed restaurant & we decided lunch would be settled there! 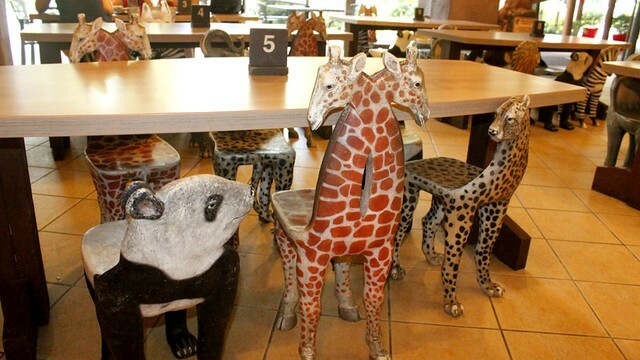 Check out these cutesy animal-themed stools! 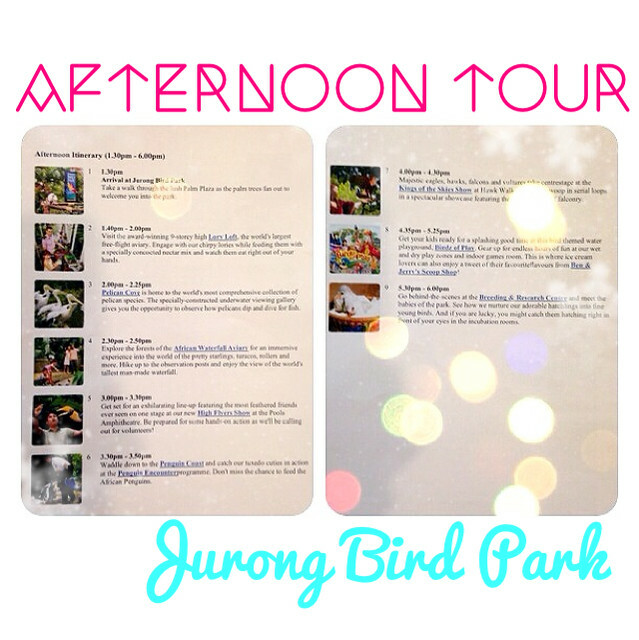 Over lunch, we looked through the JPB map and decided to just go one round to see what we eventually discover. 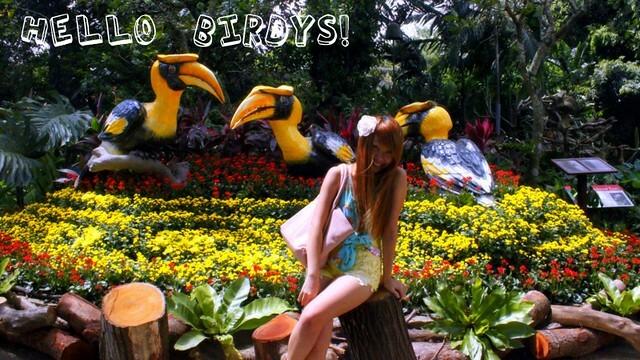 So follow us on this trip in the Bird Park, lets' go! And turn around, guess who we saw? 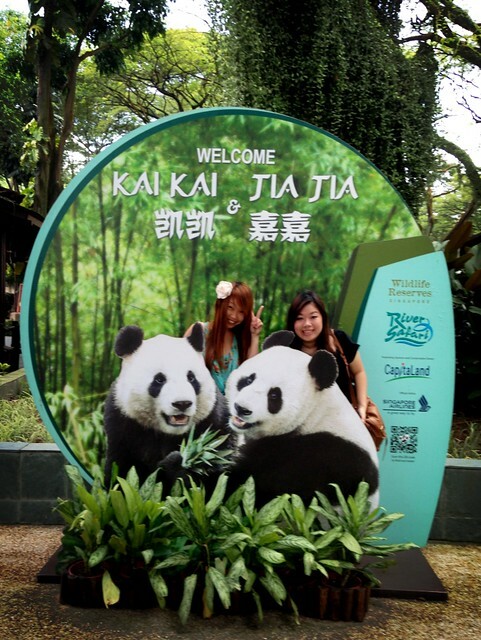 KAIKAI & JIAJIA SAYS HI! 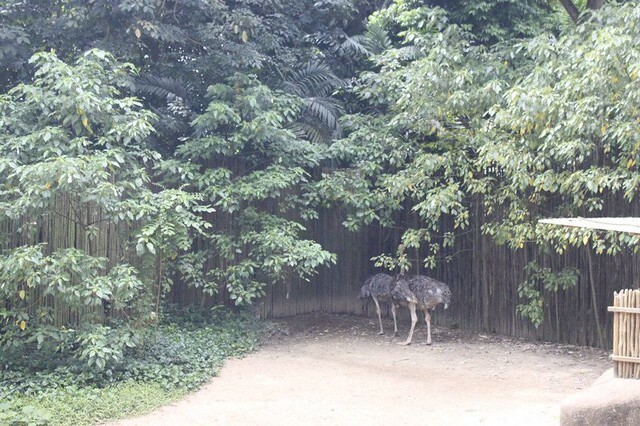 For a moment, I thought we were in the Zoo instead of the Birdpark! 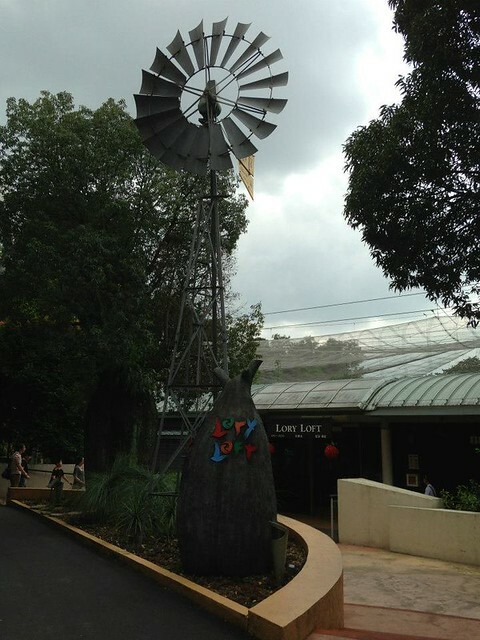 Go down under to yet another world’s largest, the 9-storey high Lory Loft, the biggest lory flight aviary. 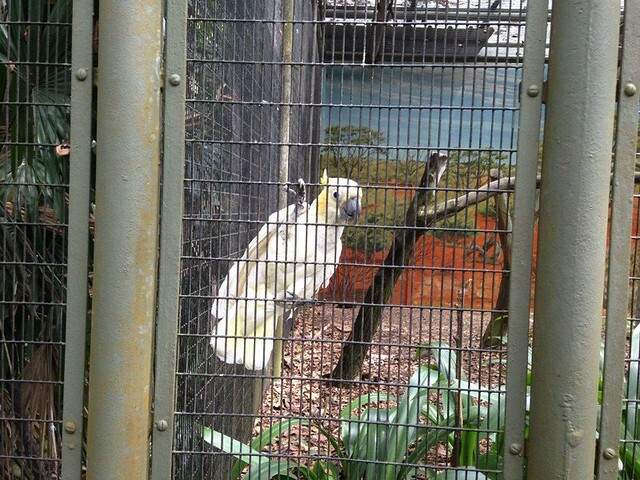 Here, you’ll meet our Australian natives, the friendliest birds at the Park. 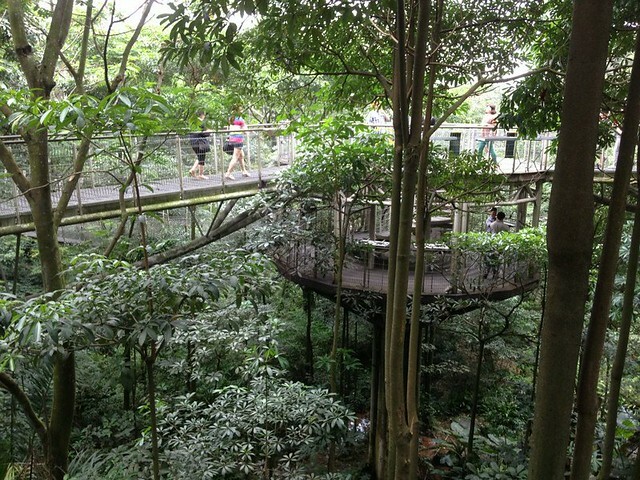 Experience an up-close feeding frenzy as you walk across the suspended bridges with a cup of nectar mix in your hand. 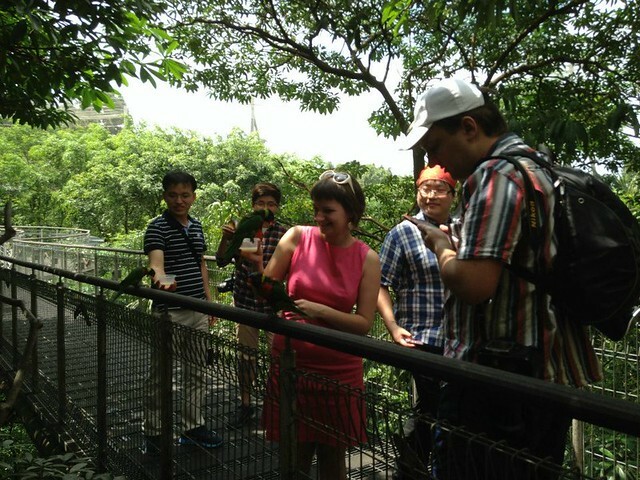 You’ll soon find bright and chirpy lory and lorikeets flocking around you, with some even nestling up to you on your shoulders! Just imagine me screaming in your head AHHHHH. It was indeed an interesting experience! 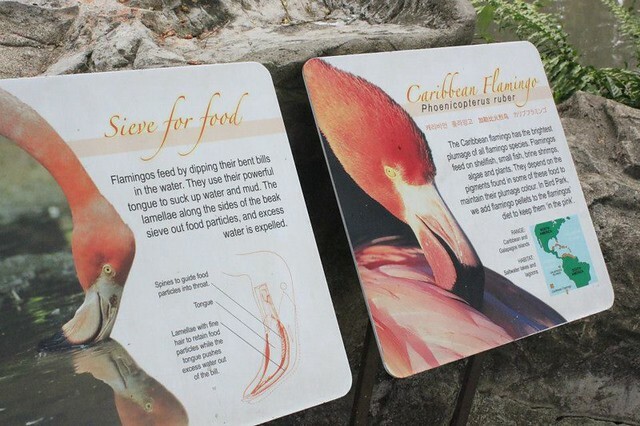 The Pelican Cove is home to the world’s most comprehensive collection of pelican species. 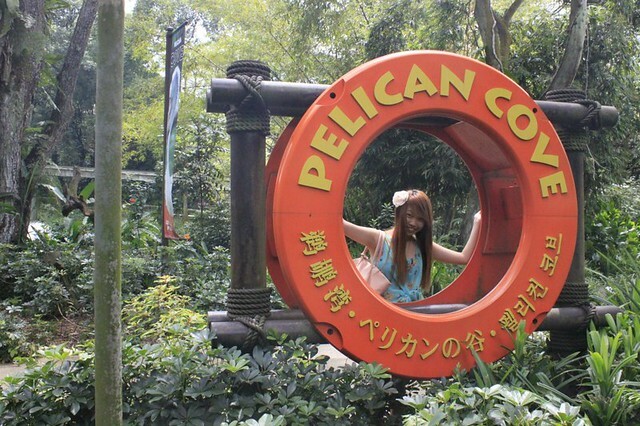 The specially-constructed underwater viewing gallery gives you the opportunity to observe how pelicans dip and dive for fish. 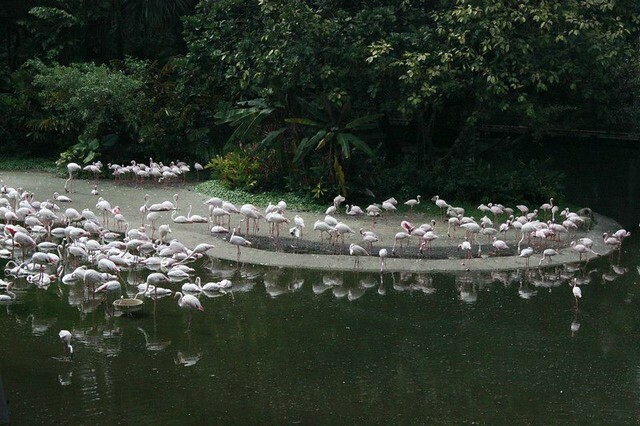 Next to it, be awed by the open concept Flamingo Lake, very very pretty! 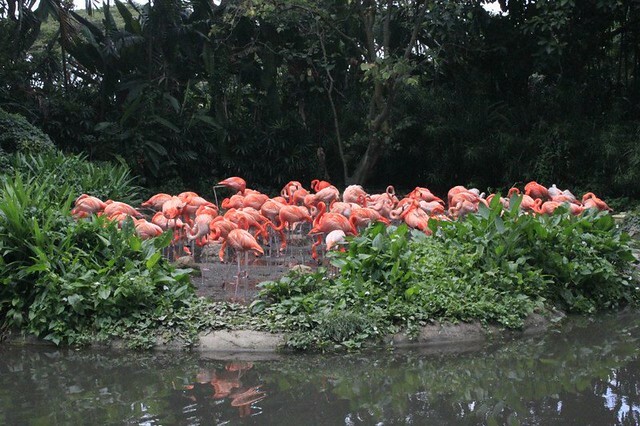 This is another must-see where hundreds of greater and lesser flamingos strut around one of the most picturesque sights in the Park. 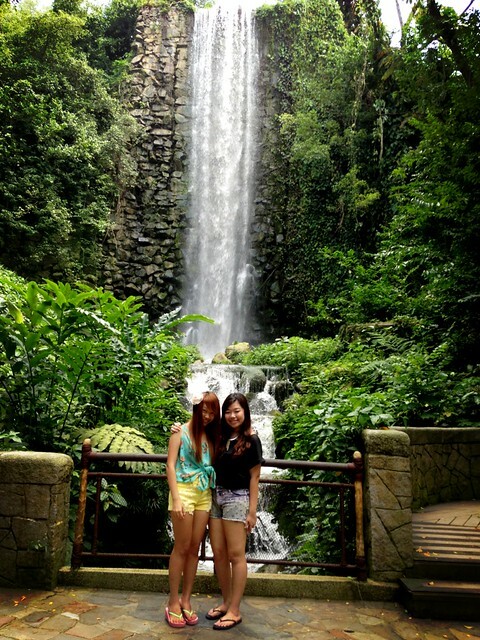 Sharmaine and I walked one big round just to see it, we were so determined to see them upclose. Really one of the prettiest birds alive! 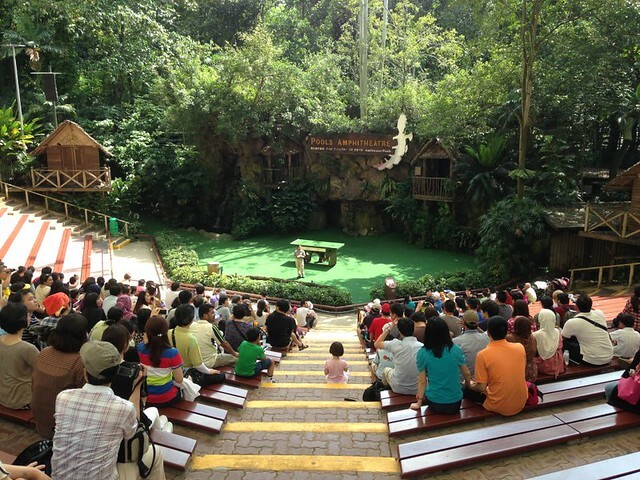 Despite walking around for so long, we took note of 3pm because no matter what, we had to get ourselves to the Pools Amphitheatre for the High Flyers Show! 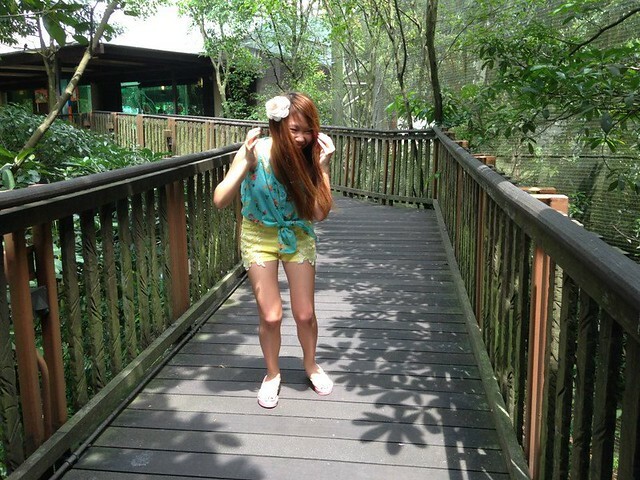 So yes, from afar, we literally ran there at 2.55pm, haha phew! We reached there just in time! 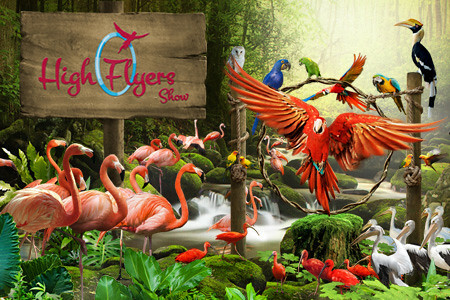 Launched in celebration of JBP's 30th anniversary of world-class bird shows, here's presenting the all-new High Flyers Show, featuring an exhilarating line-up of our best-loved bird stars and new talents. 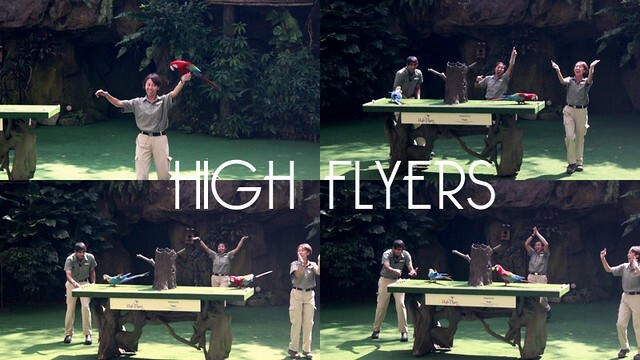 It’s a high altitude, free-flying performance that will leave audiences like us marvelling at the amazing natural talents, beauty and intelligence of the feathered friends from around the world. 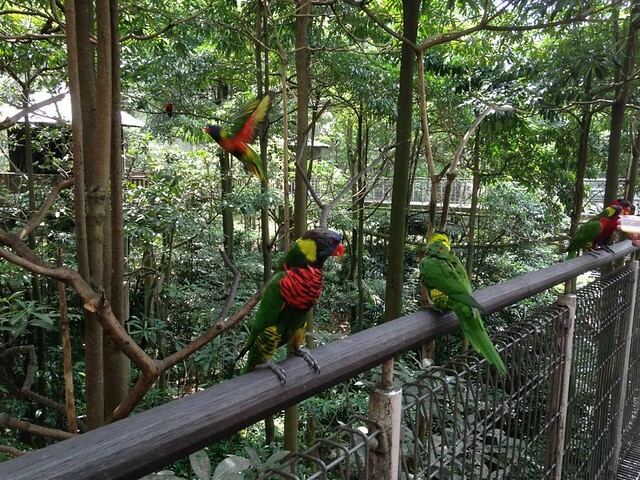 Cheer on as our parrots go beak-to-beak in a race against time to display their speed and agility and be awed by their dramatic fly-bys. 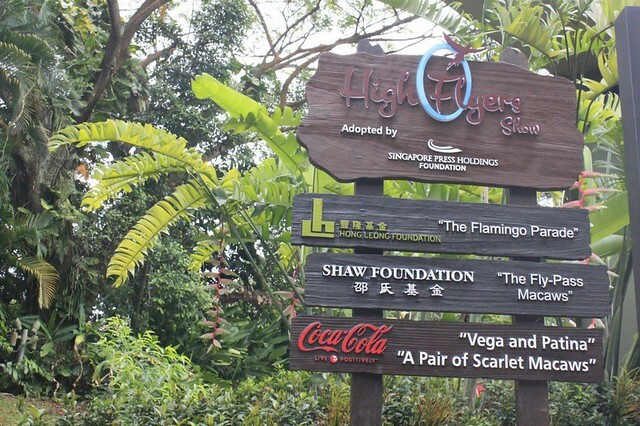 Discover the behaviours of Gaia, an endangered Hyacinth Macaw plus Alfred and Vicky, the Great-pied Hornbills, in the wild. What's better? BE INVOLVED! 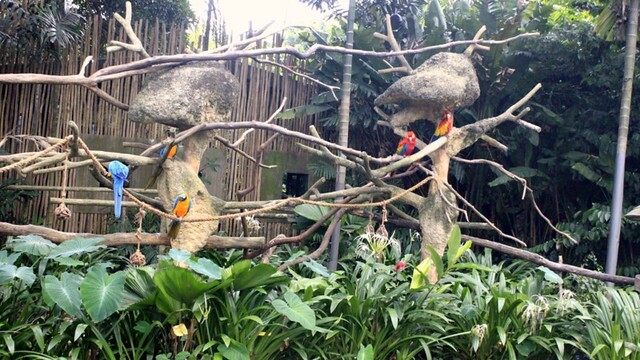 Share the limelight with our bird stars – simply raise your hand and you just might be picked to hold up a knotted rope filled with surprises for our adorable Sun Conures. 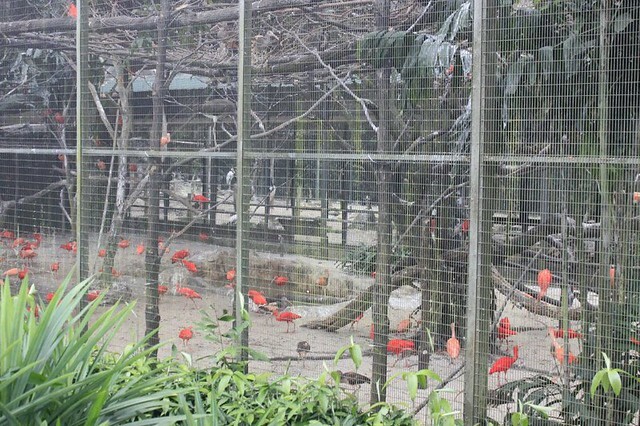 So basically, once the audience are prepared, twp of these birds would fly out from the stagefront and towards the knotted rope! 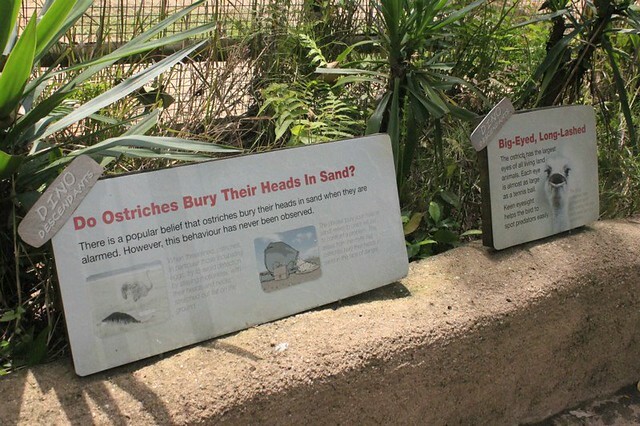 How smartly trained they are heh! 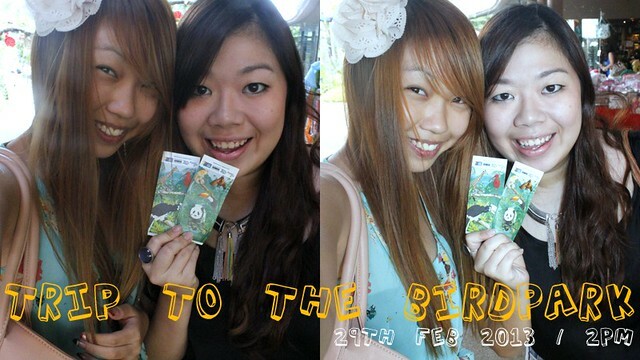 Ohyeah, see the lucky visitor below and her very stunned face. haha! 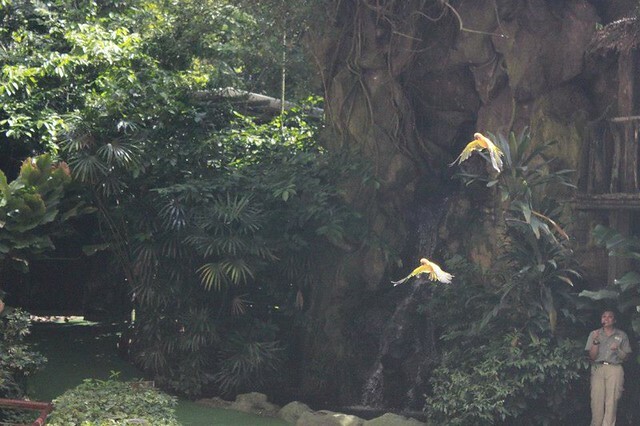 You’ll also get to see and hear the mimicking ability of Amigo, our Yellow-Naped Amazon, the only bird in the world that sings in three languages. 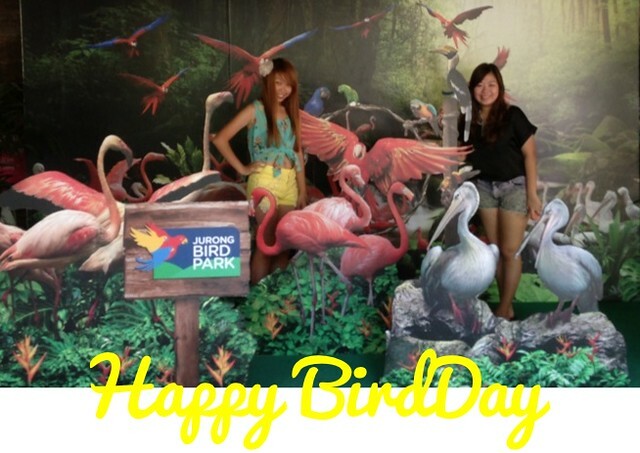 With the most feathered friends ever seen on one stage, it’s a sight that’s sure to take your breath away! 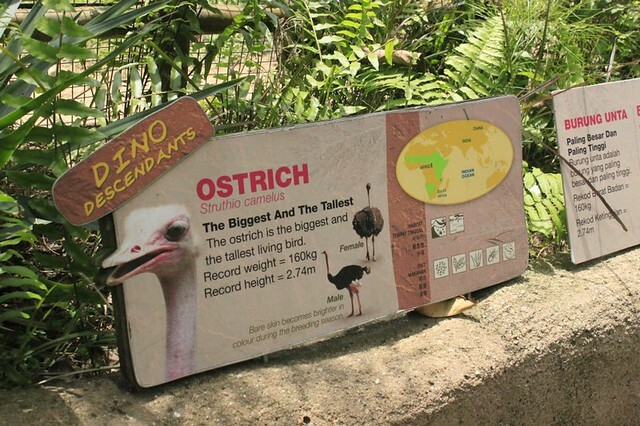 Hike into the wondrous and largest walk-in aviary, the African Waterfall Aviary that houses over 600 birds of Africa as well as the tallest man-made waterfall in the world. 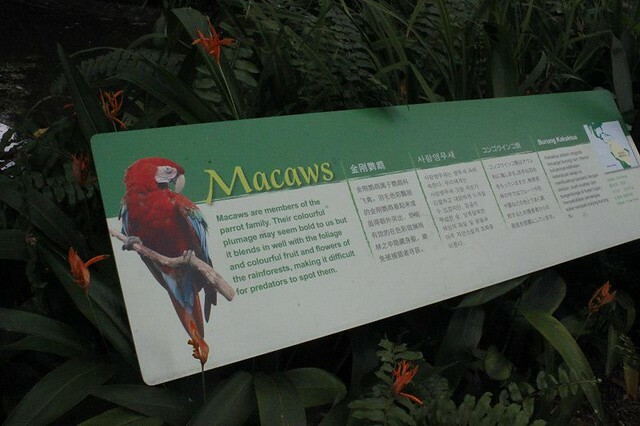 It was my favourite of all parts in the Bird Park. 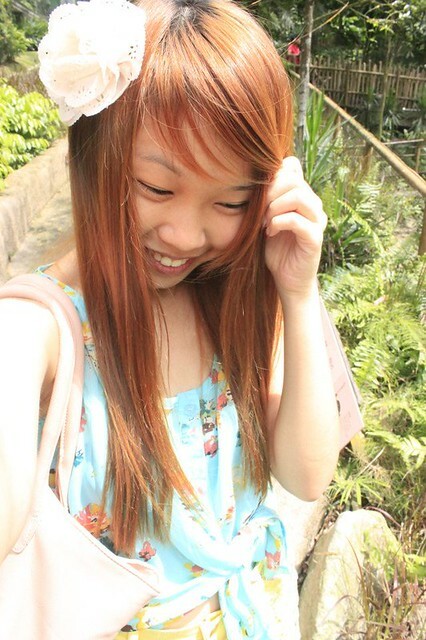 I was very awed when I saw it, totally made our walking to the ends of the park just to see it worthwhile! 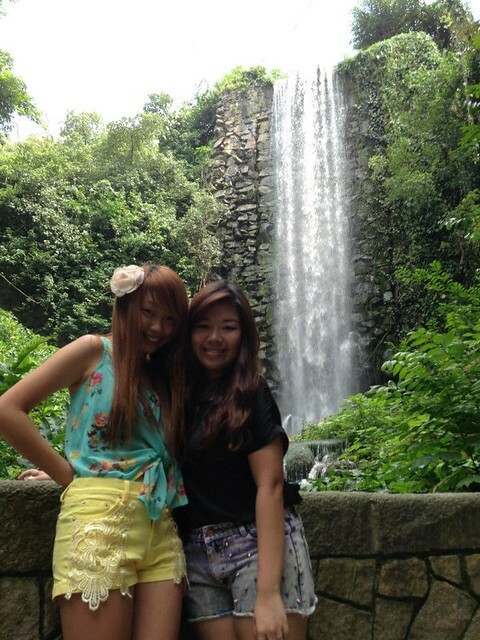 Gorgeous Waterfall, awww don't you just love it? Head off on an expedition at Penguin Coast and see our residents of the Antarctic housed in an impressive ‘explorer ship’. 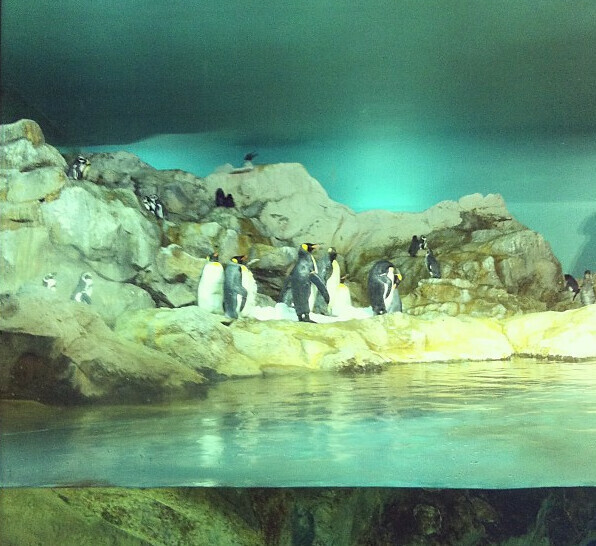 Get a panoramic view of the penguins as they dive and torpedo through the waters. 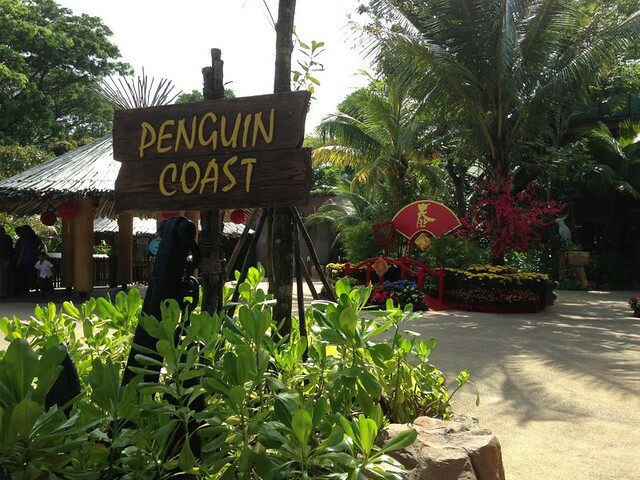 Outdoors, meet their tropical cousins, the African penguins and get your chance to feed them during at the Penguin Encounter sessions at 10.30am and 3.30pm. 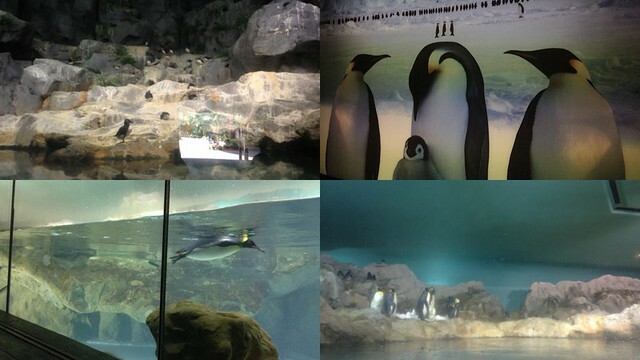 I love looking at the penguins swim. 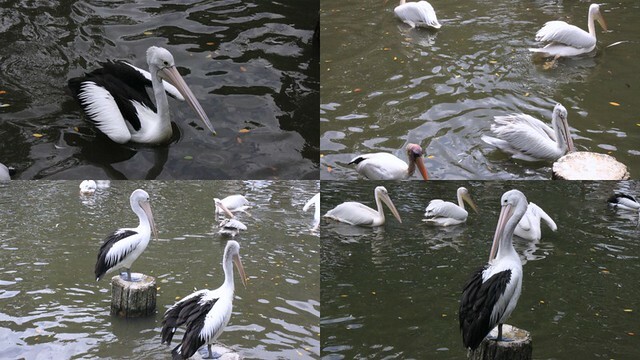 They'r like floating literally in waters, super amusing don't you think so! 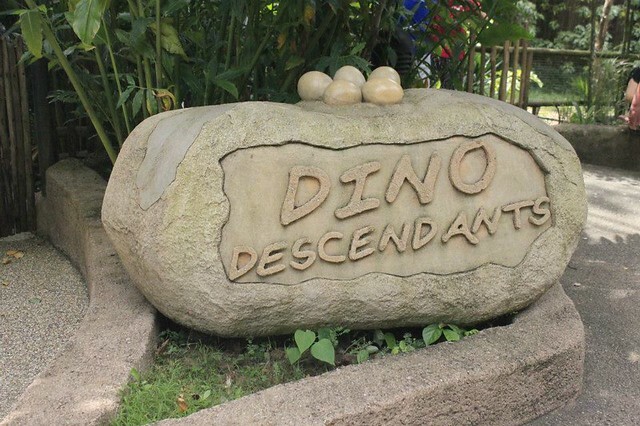 That marks the end of our afternoon tour! 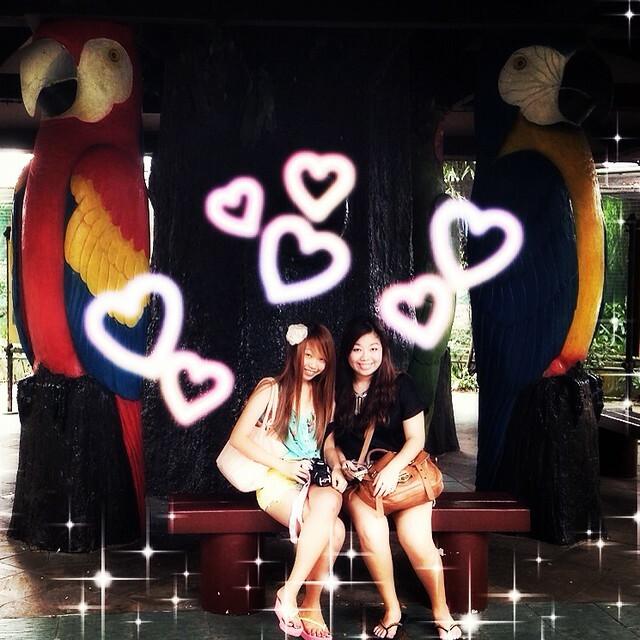 It was a great day spent at Jurong Birdpark, espeially since I haven't been there since my childhood days. 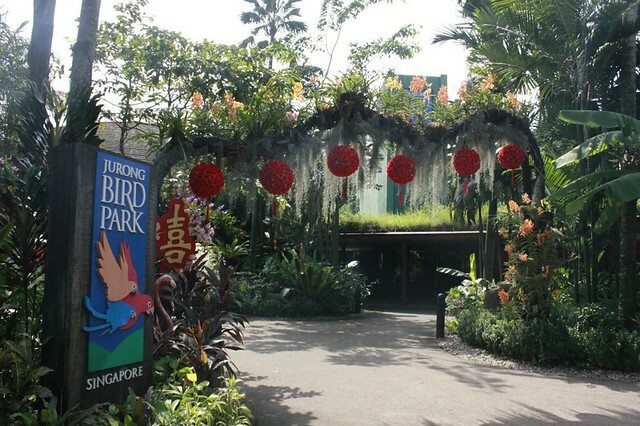 So everyone, this Chinese New Year, do pay a visit to Jurong Bird Park! 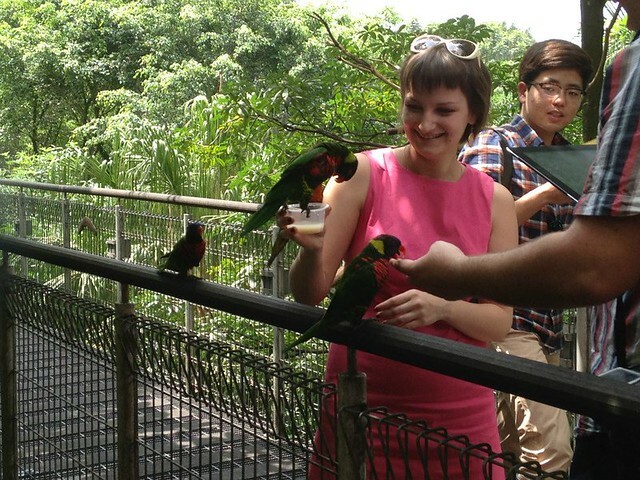 Like us, you’ll be swept off your feet in our colourful paradise of unforgettable experiences and personal encounters with our feathered friends. 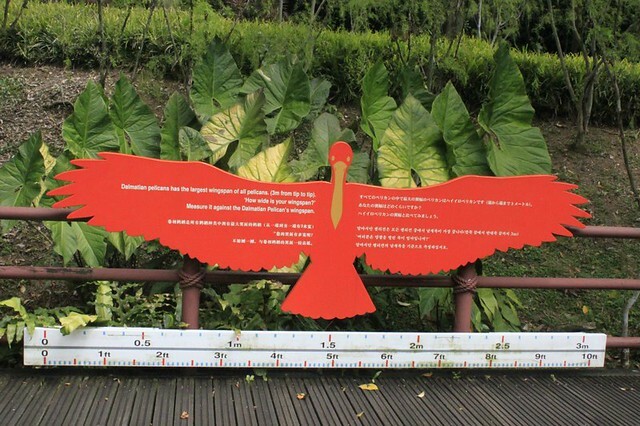 For more information on Wildlife Reserves, please click here!